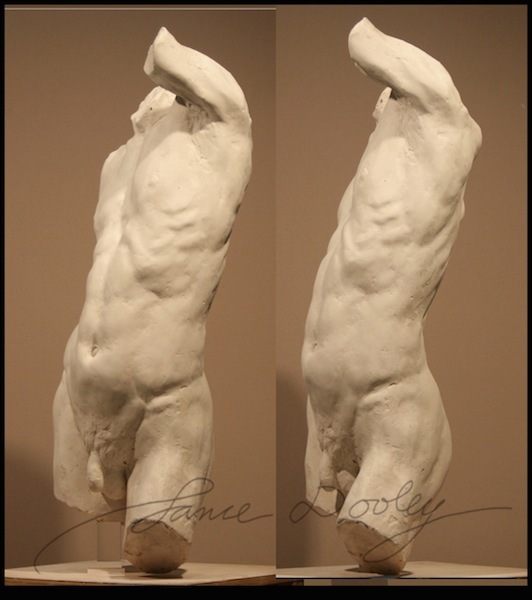 Lance Dooley - Figure Sculpture "Male Torso"
This is a life sized torso study of a strong male. The pose is in contrapposto and has a high appeal towards the classical aesthetic. This will be a nice addition for any space requiring that old world classical ambiance. The weight of this bronze cast would be around 250 lbs and will come with a simple stainless steel supporting stand. Fancier stands and addition of pedestal will cost extra and can be arranged. Please contact me for details to negotiate this.